Everyone loves a deal! In these days of “free shipping”, “free returns”, coupons and big discounts for internet purchases it’s easy to forget the need to ensure the quality of the set, the continuity of supply and the ability to find matching pieces in future years. I will expand on these three concepts in this blog. Quality of the Set: The best and most durable of the many Holy Family and Nativity and Creche scenes being offered these days are made of fiber glass and ,with sets up to about 40″ tall ,with a filled poly resin. The fiber glass sets are made in the same way that small to mid size boats are made and are very durable and resistant to cracking or chipping. The filled poly resin sets are also strong, although, pieces over 40″ , in our experience, may become brittle and crack easily. The paint should always be outdoor, sunlight resistant. Painted poly resin figures may need a clear coat sealant. Continuity of Supply: Many stores and websites in the garden, home furnishing and even discount retailing are offering a few Nativity figures, usually a Holy Family of Jesus, Mary and Joseph. Once these sets are sold, at very low prices, there is no certainty that they will ever carry these items again. That can leave you searching high and low next year and the year after to add to or complete your set. Finding Matching Pieces. 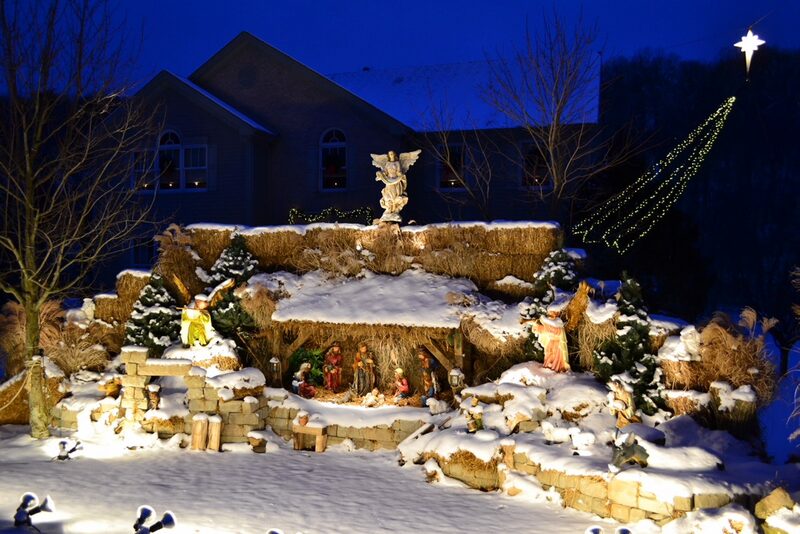 While you may find Nativity pieces of a similar size next year, there is no guarantee that you will be able to complete your set with all figures designed and built to create a complete and integrated scene. It is very likely, that when you do find these pieces, they will cost quite a bit more than your original pieces and will not be offered with free shipping. Respect for a special kind of product and what it stands for as well as dedication to offering the very best quality and service to our customers are more important to us than the latest internet fad.